Increasingly, leaders are expected to connect, inspire and drive change through their communications. Yet often leaders are subject matter experts, rather than highly skilled leaders and communicators. So, how can leaders improve their communication skills to drive business results? Ginger’s cutting-edge courses combine leadership, speaking skills and personal development to help leaders to be visible, vocal leaders of change. 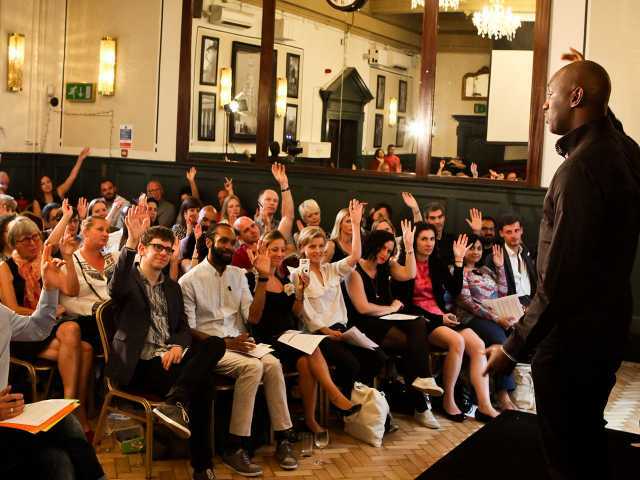 Our experiential leadership communications programmes increase leaders’ self-awareness, communication skills and help them to be more strategic about the way they communicate. Communication is at the heart of every successful business. Yet relatively few businesses have a clear vision, let alone one that’s communicated in a consistent and inspiring way throughout the business and to clients. Whether leaders are influencing through the media, conference speeches, all-hands meetings, client meetings, or to key stakeholders, much can be improved in leaders’ communication. These skills are crucial for navigating the business landscape, both in times of massive change and in inspiring purpose-driven millennials. 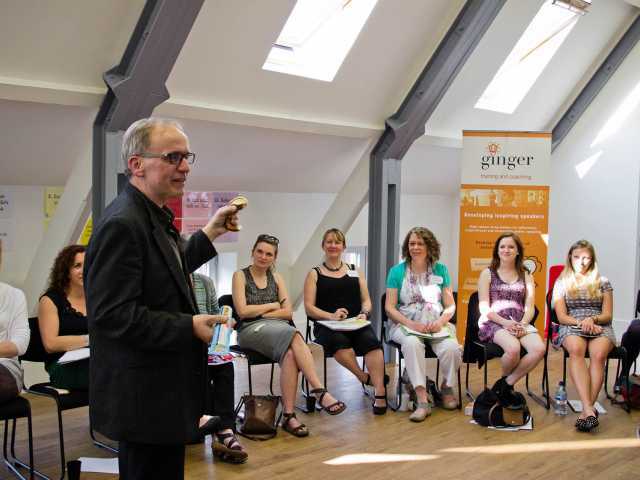 Ginger’s leadership communications courses give leaders the headspace to make strategic choices about their personal and professional impact, their visibility and their capacity to influence and inspire change. Through a series of experiential workshops, they will challenge their habitual behaviours, develop greater confidence and boost their communication performance and beyond. Our Vision Hunt for Business offers teams and individuals the opportunity to be clearer about their sense of purpose. This course connects the personal to the corporate and develops a clear strategy for communicating a company or team vision. The ‘Speak. Lead. Change’ programme is a six-eight month progress tailored to your company that takes high potential leaders through an experiential process of sharpening their impact and leadership communication skills. Our women’s leadership line of work helps to redress the Gender ‘Say’ Gap by working with the specific communication and leadership challenges women typically face in organisations. 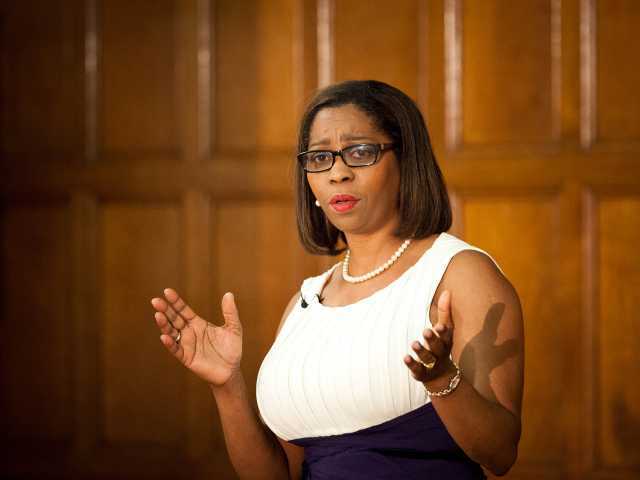 Our Leader’s Voice programmes for female leaders; the one-month Vision Hunt and eight-month full programme; offer the tools that female leaders need to be visible, vocal leaders of change. These can be offered in house, or individuals can apply to join a public programme. Additionally, all leadership communication work is available in bespoke 1-2-1 coaching packages, e.g. for busy top executives or key spokespeople. Miranda, a Founder/CEO of a multiple award-winning marketing consultancy met Ginger at a time when she was trying to raise her profile, whilst facing competing demands for her time in her business. An exceptional thinker and communicator on paper, she was terrified of the spotlight and was avoiding speaking with vision, both internally and externally. Although she spent time raising the profile of other companies, Miranda had a number of blockages in her own leadership communication. She told us she was: confused as to what her own thought leadership could be; constrained by her more conservative colleagues; and shy of publicly expressing some of the bold ideas she had built her company’s reputation upon. We needed to equip Miranda with tools to get back on brand. On a practical level, the Leader’s Voice programme gave Miranda tools and experience to build her leadership communications skills and confidence levels. From on-camera influencing, to panel discussions, to influencing difficult people, to keynote speaking, she was equipped with the 360 of everything that’s needed to succeed as a leader. ‘It’s been absolutely life-changing’ says Miranda.